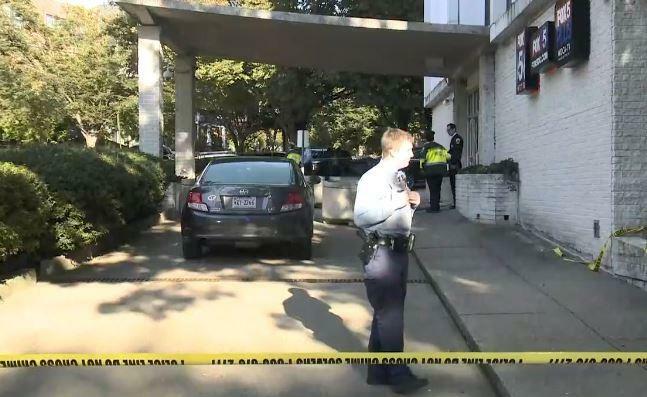 WASHINGTON — A security guard opened fire on a man who was attempting to break in to a Fox affiliate television station in northwest Washington, D.C. Monday afternoon, police said. WTTG Fox 5 reported the suspect, a 38-year-old man, survived. The man kicked through the glass doors of WTTG's Wisconsin Avenue studios before he was shot once by the armed security guard in the lobby around 3 p.m., Washington Metropolitan Police second district commander Melvin Gresham said. The station published security video of the suspect kicking in both the exterior and interior lobby doors. The building is accessible only by a swipe card, Gresham said. The alleged intruder wasn't armed, Gresham said. Gresham said the man was stable, conscious and responsive and was being treated at a hospital. WTTG photojournalist Will Cockey posted video to Twitter of a man being wheeled on a gurney into an ambulance, apparently conscious. Anchor Jim Lokay tweeted everyone in the building is OK. Lokay said a motive wasn't known.